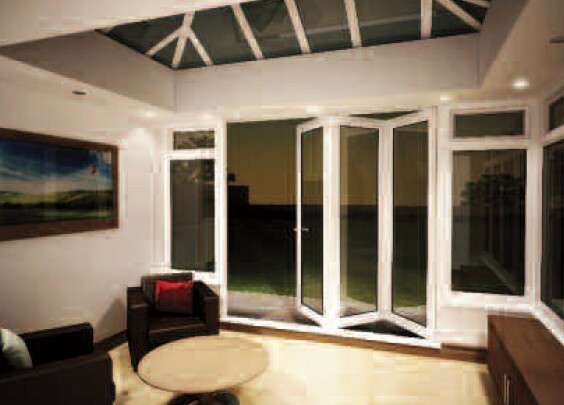 To include bi-fold doors in your self build conservatory please specify your requirements in the additional information box on the online quote form. 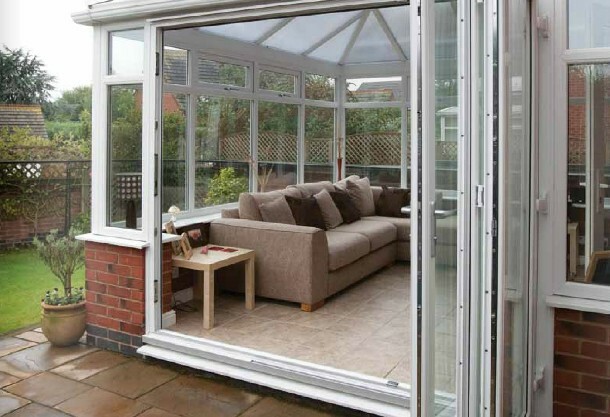 The bi-fold door system has become hugely popular with DIY conservatory builders. Where previously these doors could only be fitted by qualified professional, the new systems can be installed by competent DIY home owners. There are many different configurations of which way doors should slide and how to split the sections. 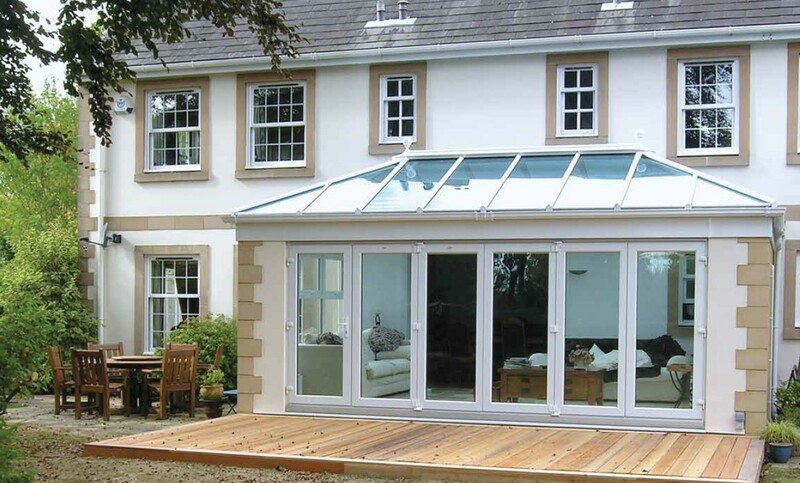 At K2 Conservatories all bi-fold door systems are supplied with a portal frame so there is no downward deflection which would hinder the operation of the sliding mechanism. The portal frame consists of a structurally enhanced eaves beam and corner posts with engineered connectors and adapters to assemble the structural parts. 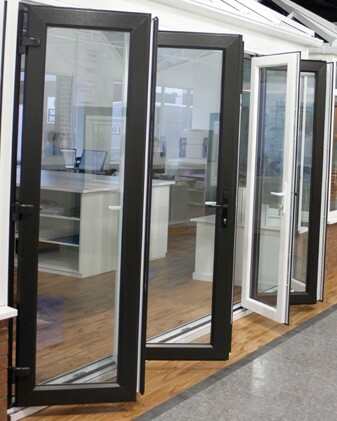 The below images give you some examples of how the portal frame needs to be configured to give the correct support to the b-fold door system. The small black pads indicate where the structural load will be taken up. 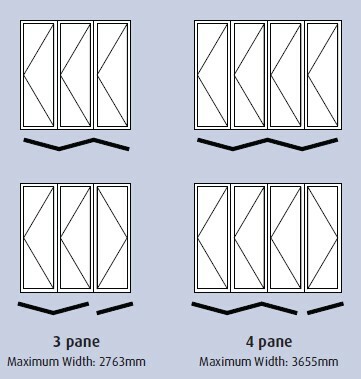 The above image demonstrates the maximum width for three and four section bi-fold doors. Larger bi-fold doors are available on request. The bi-fold door system is available in white, light oak on white, rosewood on white, light oak and rosewood. It is possible to achieve a span of up to 5400 mm but that can not be done using the K2 Konnect portal frame system. You would need to build brick walls that support a steel RSJ, that the top rail of the bi-fold doors can be fixed to.